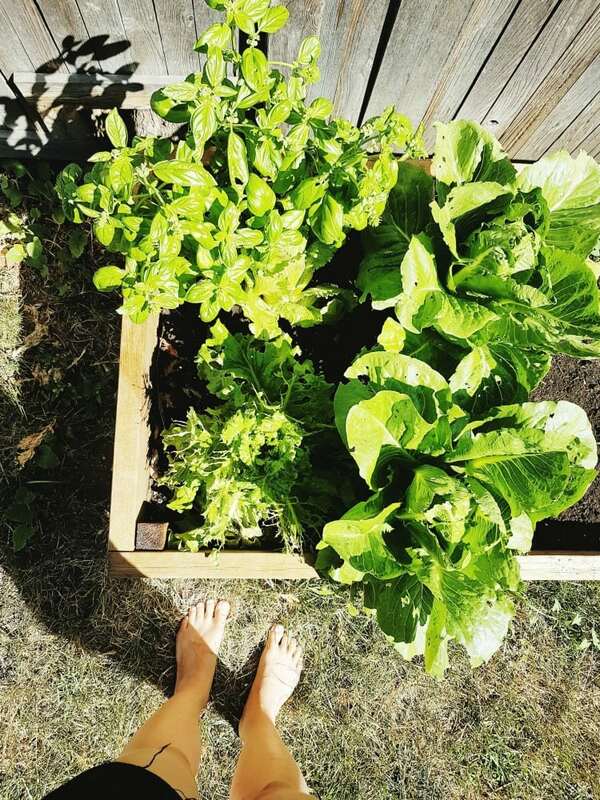 I have always wanted to grow tons of veggies out in our backyard. How dreamy to get to go pick your own tomatoes, beans, and more, right? SO yummy. Even just having a few planters full of fresh herbs is such a treat. 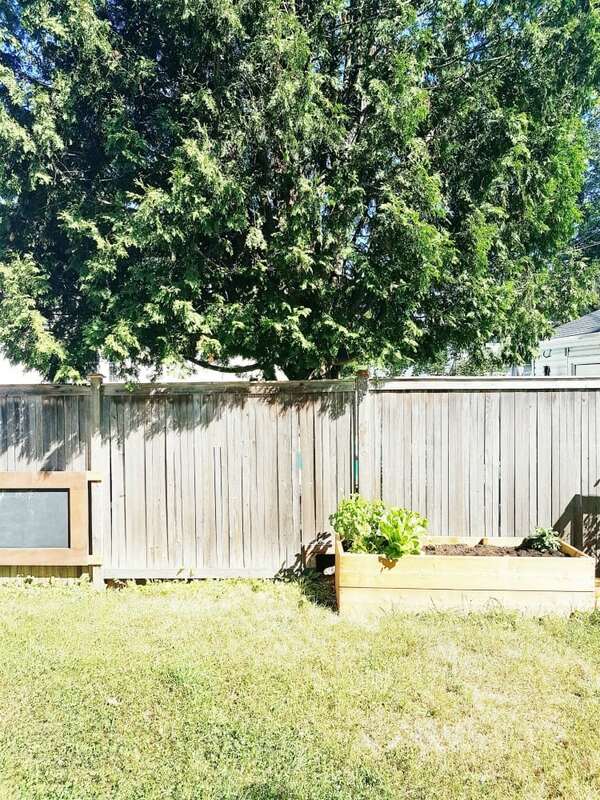 This summer we knew one of the things we wanted to tackle was to add a raised bed to our backyard. So when Ryobi was interested in partnering with us on a project, this one was a perfect fit! Here is what we used to build our raised garden bed. Since I didn’t do the building of this one, I’m going to let my husband Dan take it away with the explanation. Over to you, babe! This year my brother and I decided to expand our vegetable gardens and build a couple of raised beds. Over the past few years I’ve been trying to up my gardening skills which is certainly a gradual process as each success seems to bring new challenges. 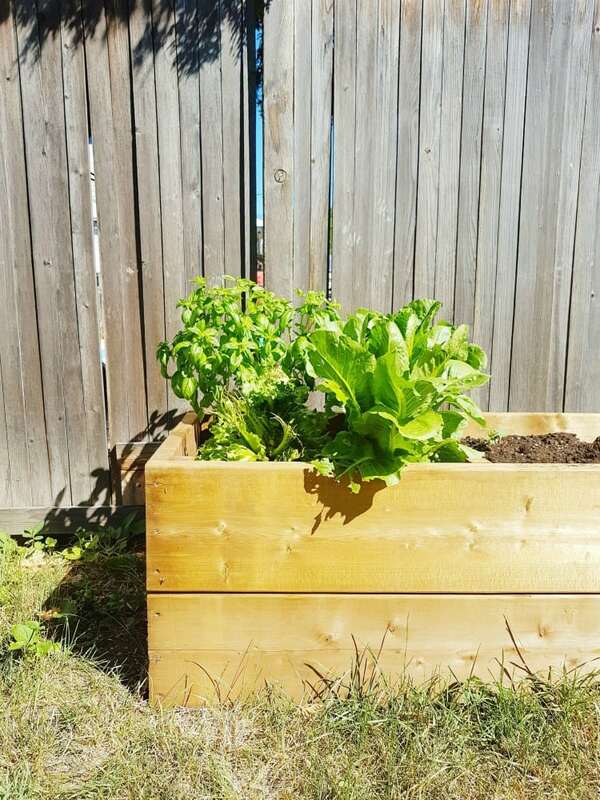 The first year I built a small bed out of some leftover 4×4 I had in the garage and planted my first little garden. That garden was quickly dug up by the cat sized squirrels in our neighborhood so I built a mesh cover to protect that bed. 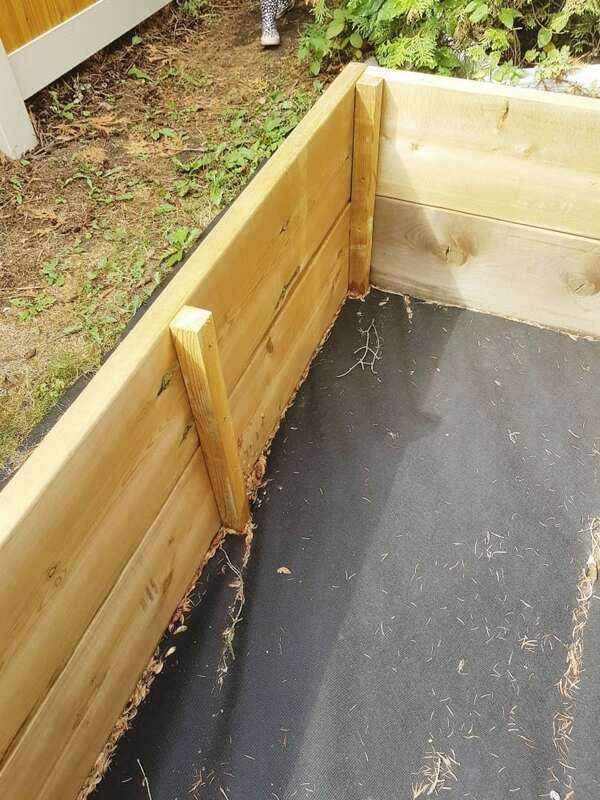 While that solution did work for the squirrel situation, I found the bed didn’t have enough height and drainage for growing some of the vegetables. So for bed #2 we did a bit of research and decided to build a 2 foot by 6 foot by 20-inch high bed. For the wood for the one bed in our garden where we wanted it to measure 2 feet by 6 feet by 20 inches high, we got four 2×10’s (8 foot lengths). Some people use deck boards or 1″x6″ however the support required to prevent bowing is more substantial. The thickness of the 2×10’s allowed me to use 2×2 to hold them together. We purchased two 2×2’s (again, 8 feet in length) for this. We decided to go with pressure treated wood. In the past, you could not use pressure treated wood because of arsenic, however the newer treated woods are safe to grow vegetables in. Cedar is probably the best option, but the price will increase significantly so you need to do what works with your budget! My brother decided to make two 3 foot by 5 foot beds, as he placed them in a location which allowed him to walk around the entire bed. This uses the exact same wood requirement as above. Take a moment to consider where you want your beds as well as what your are hoping to plant in them. 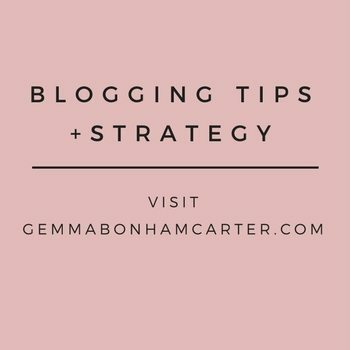 Start with your four pieces of 2×10’s. You need to cut: 4 lengths at 6 feet and 4 lengths at 2 feet to make your box. 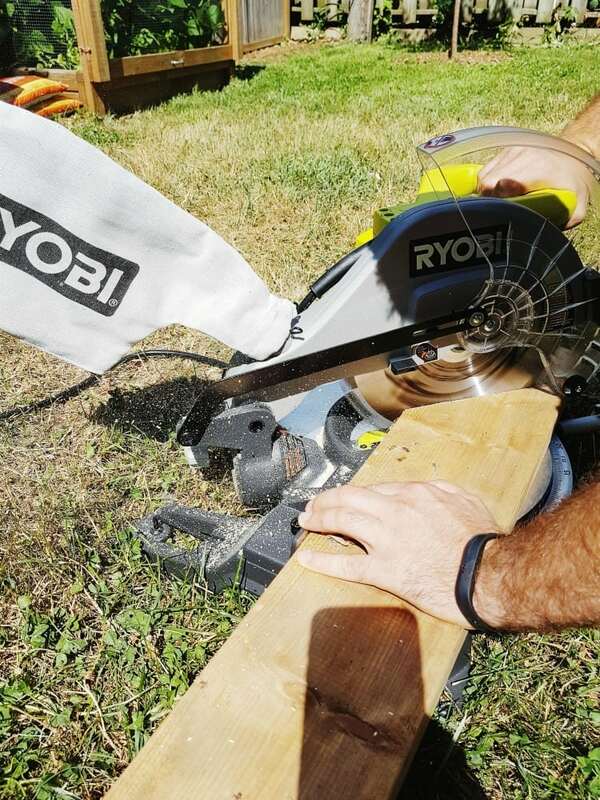 Take your boards, measure them appropriately, and cut them using the Ryobi Compound Miter Saw. 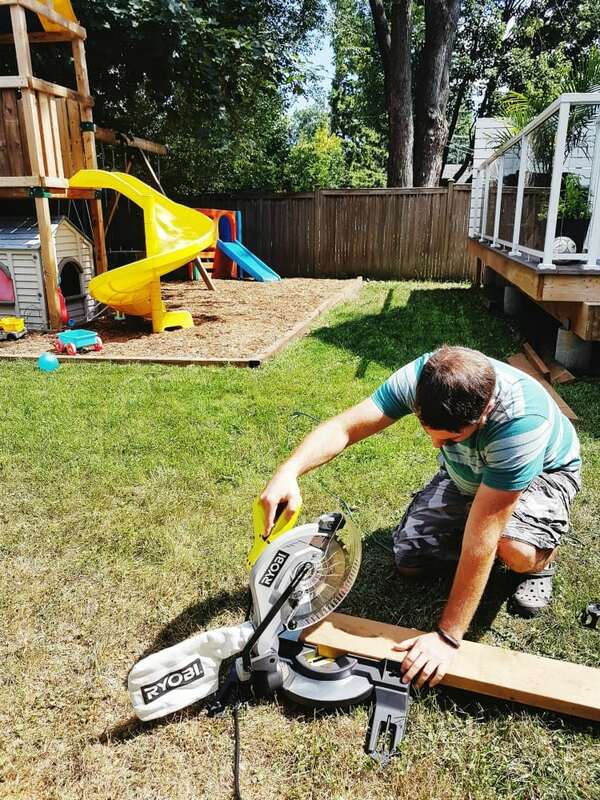 There are a lot of benefits to having the Ryobi Compound Miter Saw in your tool shed. The most significant benefit is that the cut will be extremely clean, the correct angle and very straight. The 10″ saw did require me to flip the board to complete the cut however the precision of the tool as well as the laser allowed me to line it up and get a very clean cut all the way through the 2×10 board. If you don’t want to have to make 2 cuts on larger boards, I would recommend going for a larger dual bevel sliding compound saw, such as this one from Ryobi. It’s always good to look at what you will mostly be working on when buying your saw. Take note that pressure treated wood is rough cut so your boards will not always be a perfect 8′ in length. “Measure twice, cut once” is the way to go so that all of your boards end up the correct length! Once I had cut four of the 6 foot boards and four of the 2 foot boards, I grabbed the 2×2 boards. Cut these into eight 20″ pieces. These pieces are to hold the 2×10 boards together. You will be using these on the inside of the bed. I used 4 per side however 3 would probably have been fine. Once everything is cut, it was time to put it all together. Now comes time to assemble. Start by attaching one of your 6 foot long pieces to one of your 2 foot long pieces at a corner. Use deck screws to attach these pieces together using your Ryobi Impact Drill. Repeat for all four corners. Then do it again with your second stack. I used a carpenter square to make sure the boards were at a proper 90 degree angle on the corners, and used three 3″ deck screws to attach the boards together. Stack your two boxes on top of each other, and then fasten together using the 2×2’s you have cut to size. Again, you’re using deck screws into the sides of these to assemble. Having an impact drill like this one from Ryobi makes things much easier! If you have not tried an impact drill before, go test one out. They are fantastic and well worth the investment. Then fill with a combination of peat moss and potting soil. Make sure you buy soil that is weed free. 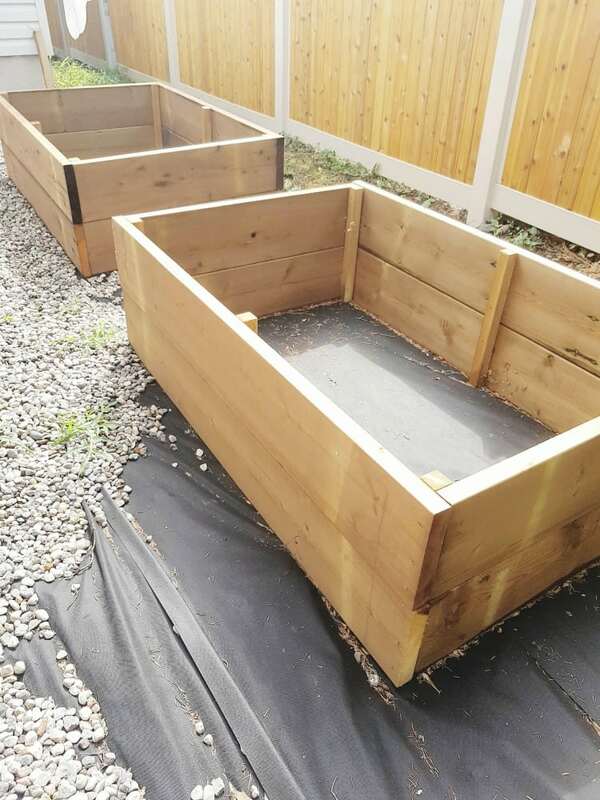 Having the right tools definitely helped and meant that my brother and I were able to build three raised beds in an afternoon. 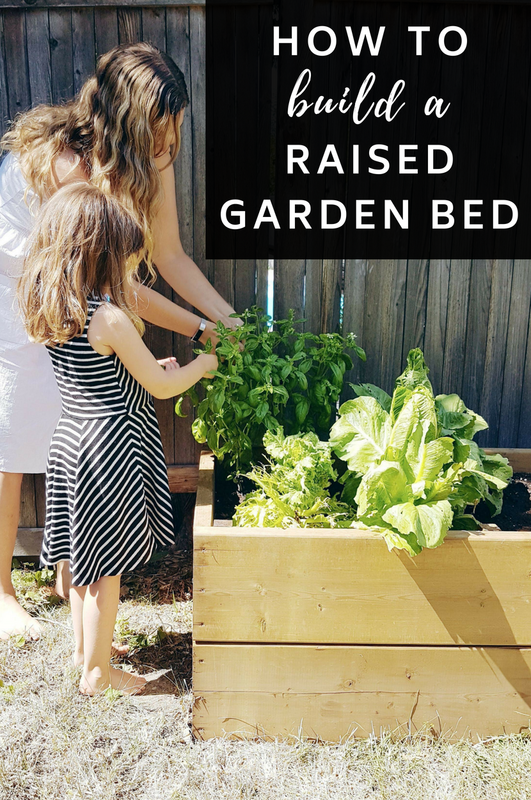 We are loving how this bed turned out, and plan on adding several more along that side of our yard. 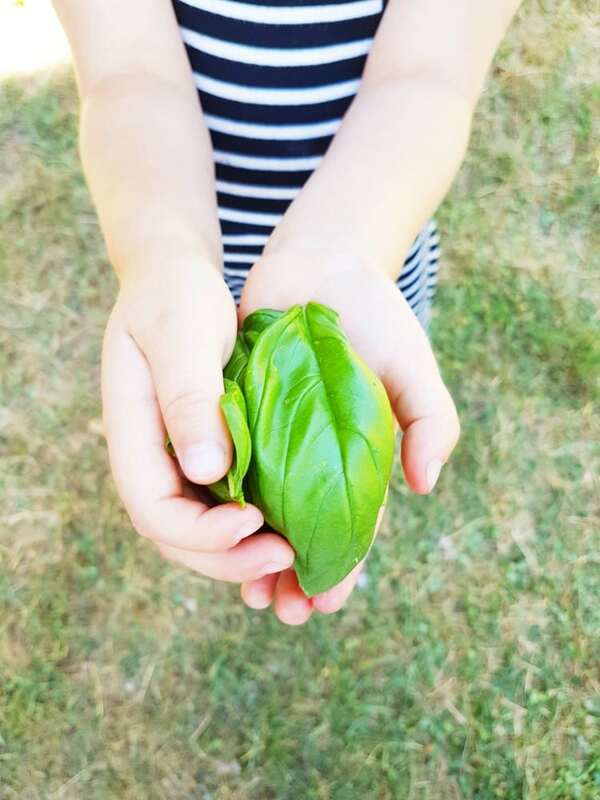 The kids LOVE to help water and pick the plants – it’s been so great for us as a family. 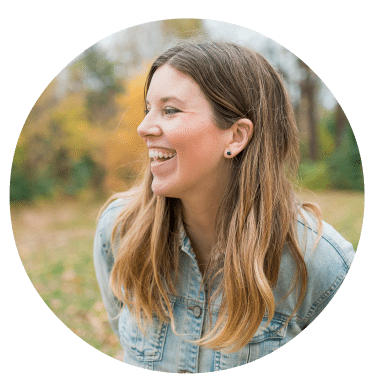 Ready to see what my gal pals from the Modern Handmade Home made with their Ryobi tools? Disclosure: This post has been brought to you in collaboration with Ryobi. 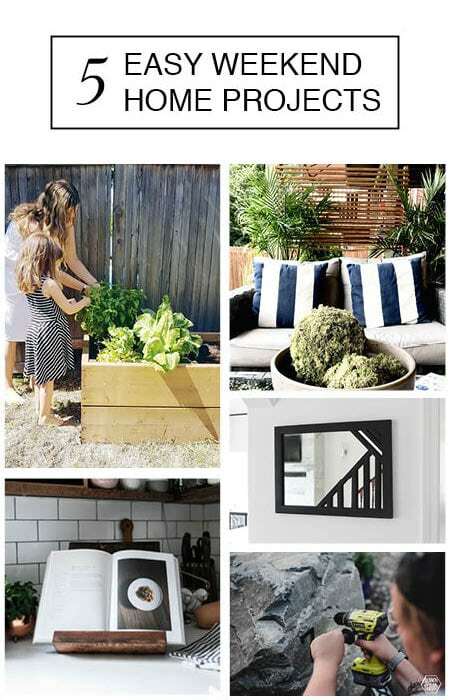 We love working with brands that we use on a regular basis in our home, and Ryobi is definitely one of them. We have TONS of their tools and can’t recommend their line of products enough! Thanks to Ryobi for sponsoring this project. Do you have a garden? 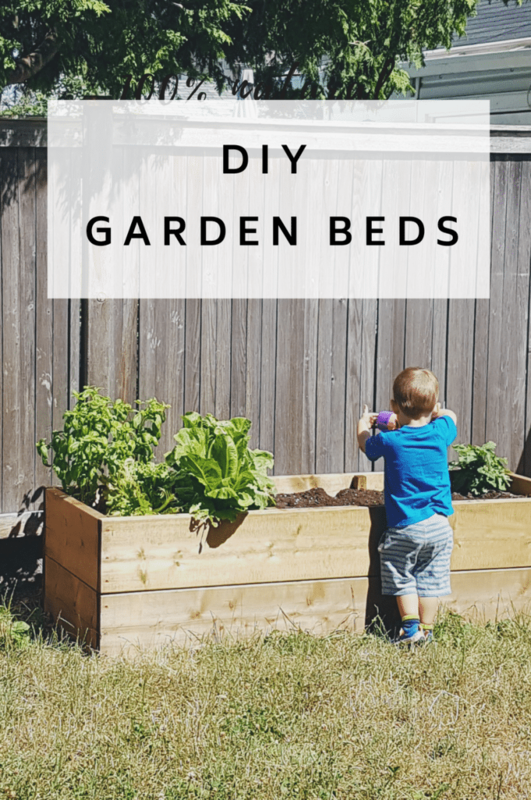 Have you tried building raised beds before?